Ever since 2008, I have been volunteering at UCLA's CURE: Digestive Diseases Research Center with pancreatic cancer research and later at UCLA's Iris Canter Breast Imaging Center with their clinical research. 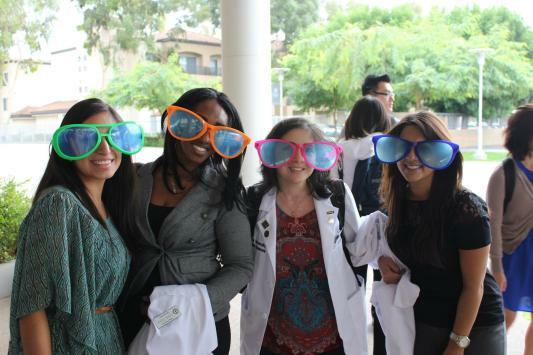 However, I never, in my wildest dreams, thought that I would one day be a patient at UCLA. Amidst my volunteering, I had the strangest symptoms like constant itching, abdominal distention, shoulder pain, random episodes of hives, migraines, darker urine, and slight swelling of my feet. I had actually graduated as a biology major in college and the longer things went on, the more suspicious I became. I checked online about my symptoms. They were all laid out to me on my computer screen under the title of "Liver Cirrhosis," but there was one thing missing: the jaundice. I couldn't believe that I was suffering from liver failure. I rarely drank alcohol, I had never even touched drugs or cigarettes and I was only 24 years old. I was a good kid all my life and I had just gotten accepted to grad school to become an optometrist, how could something so horrendous happen to me? My jaundice came last and when it arrived, that's when it truly hit me. It was the missing piece to my puzzle. I didn't have health insurance, but I knew my liver was failing and I was slowly dying. Once I did an ultrasound, my doctor told me to go to the ER immediately. 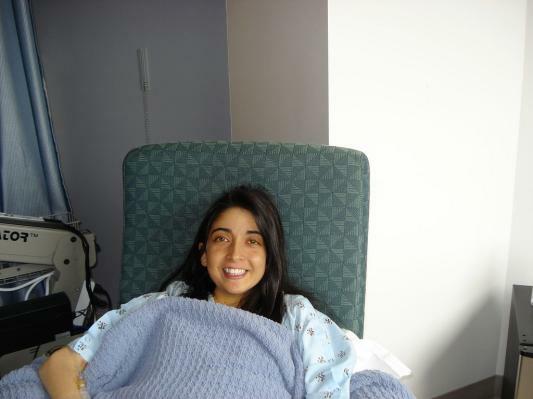 On the morning of Christmas Day 2010, I arrived at UCLA's ER. After many exams, my doctors told me what I had long expected, that I had severe liver failure, but that it was due to Primary Sclerosing Cholangitis, a rare autoimmune disorder that often occurs alongside Ulcerative Colitis which I have had since the age of 9. 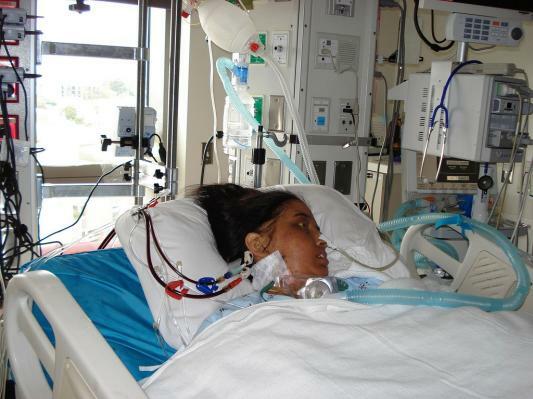 Just two weeks prior to my transplant, I fell into a coma and on April 1st, 2011, I had only 24 hours left to live. But on that same day, I had a miraculous life-saving liver transplant at UCLA's Ronald Reagan Medical Center. In total, I stayed at the hospital for nine months as an in-patient. For 6 of those months, I was in 8ICU. The other three months, I spent all over the 8th floor from 8East to 8West to 8North. Although, my new liver never rejected me, I had almost every other complication before and after my transplant, including a month-long fever and infection, removal of my transcending and ascending colon, a pulmonary embolism, tracheotomy, a seizure, kidney failure and total muscle loss. I couldn't even lift my head up or move my fingers. What really got me through my total of nine months in the hospital was my mom. She stayed with me every day and every night, fighting for me. She slept in the hospital chairs that weren't quite made for sleeping in. Even when I was drugged up and hallucinating, the second I saw her, I would remain calm. Her constant support soothed me in my most trying times. She was there for me when I couldn't talk, she understood me. She stood by me as I took my first steps. When I finally passed my swallow test (after trying to pass it for months), she was there to give me water. I don't think I would be here without my mother's calming voice, her soothing nature, her patience, and her strong belief that I would conquer this disease. She was and still is my best advocate. Together, with my mother by my side, I've relearned how to walk, how to eat, how to drink, and how to do all my daily activities. As of this past August, I'm finally on the path to fulfilling a lifelong dream of mine. I am in optometry school and so thankful to be here. 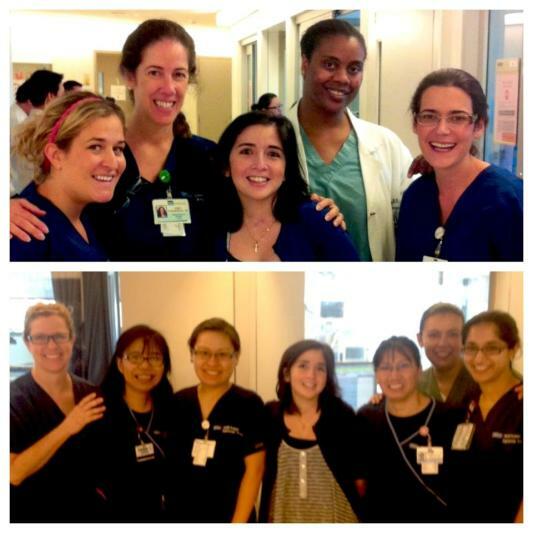 I cannot thank my doctors and nurses at UCLA enough for saving my life. Without Dr. Busuttil's amazing liver transplant program and his team of doctors, nurses, therapists, and staff at UCLA, I wouldn't be here today. They were and still are like a second family to me. They were one of the few blessings of being ill in the hospital. Most importantly, my donor's decision that she made days, months, or years before her death has left a lasting legacy that I will cherish for the rest of my life. 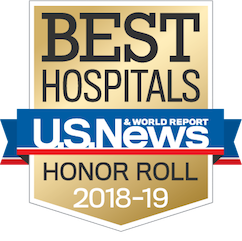 Thank you from the bottom of my new liver to all of my UCLA doctors, nurses, care partners, physical and occupational therapists and to the entire staff for saving my life countless times. I wouldn't be a walking miracle if it wasn't for you all! And most importantly, thank you to my organ donor for giving me a second chance in life that I will never take for granted.